This visualization was created as a contribution to week 22-2016 #MakeoverMonday (a Tableau initiative by Andy Kriebel and Andy Cotgreave). 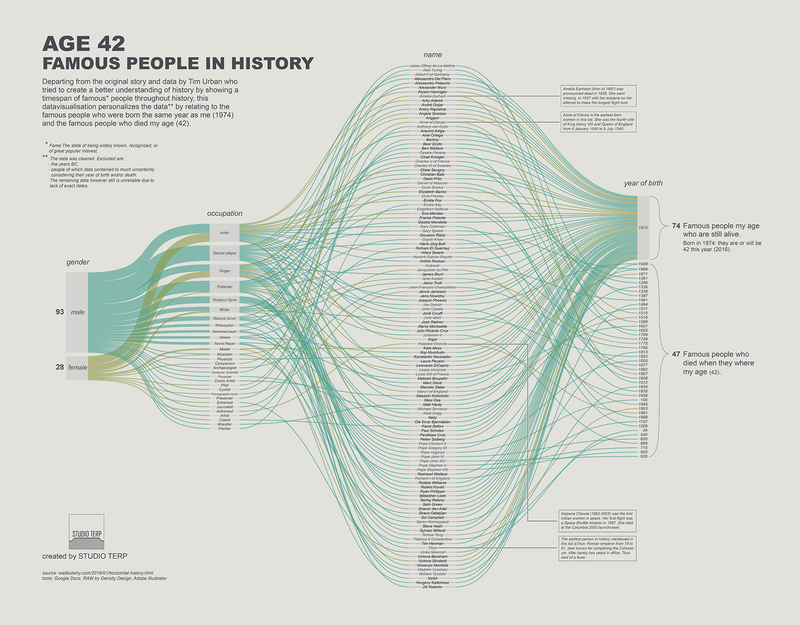 It explores the famous people who were born the same year as me and the famous people who died my age (of that time). The data explored can be found here: data.xls.